The American Hospital Association (AHA) sent a letter to the House Ways and Means Health Subcommittee and suggested a number of steps which Congress could take to quickly lessen the regulatory pressure on hospitals and health systems. 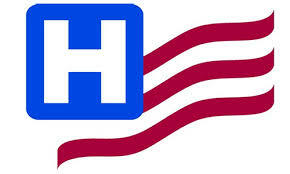 According to the AHA, regulatory obligation on hospitals and health systems is sizeable and not sustainable. In addition, more regulatory requirements is making the situation even more difficult. One example is the 49 rules associated with hospitals and health systems contained in 2,400 pages released by the Centers for Medicare & Medicaid Services in 2016. There was also a rise in sub-regulatory guidelines being published to help hospitals and health systems fully grasp the implementation of administrative policies. The AHA made several recommendations to Congress covering many areas, but two related to the Health Insurance Portability and Accountability Act which AHA says adversely impacts patient care. At present there are obstacles that stop helpful sharing of patient medical information. 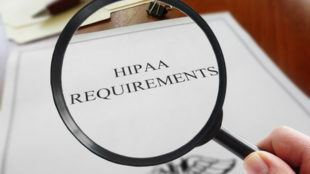 For instance, HIPAA Regulations prohibit sharing patient information for healthcare surgical procedures, along with the use of information for quality evaluation and enhancement activities. The limitations likewise apply to results assessment, activities relevant to assessments of provider proficiency and functionality, and to data about patients which is shared to or received by a patient’s currrent or past healthcare providers. The problem in an integrated health system is the fact that in most cases, patients don’t know all of the healthcare companies where information should be coordinated. AHA proposes that HIPAA ought to permit all patients’ health data to be shared to and utilized by all participant healthcare providers in an integrated health setting. There should be no need for a patient to be directly related with all the institutions that officially use and get access to the information. The AHA additionally recommends that all treating healthcare providers must be granted access to the substance use disorder treatment data of the patient. Presently, patients need to give their permission before treating healthcare providers can view those documents, which is an impediment to treating the patient promptly. In certain cases, lack of access to that data can put a patient at risk. The AHA recommends that Overdose Prevention and Patient Safety Act (H.R. 3545) reforms must be passed to align requirements for sharing information on patients’ substance use disorder treatment with HIPAA regulations that permit the use and sharing of patient data for therapy, payment transactions and healthcare procedures. Giving all providers and agencies having a direct patient care relationship with a patient access to his/her complete medical files, which include their treatment for substance use disorder history. The AHA likewise recommended to Congress that the Stage 3 Meaningful Use requirements be cancelled, mentioning that the regulatory pressure on hospitals and health systems is substantial, while those demands have no apparent advantage to patient care.